Dehydrated vegetable chips make a delicious and healthful snack. And they are easy to prepare too. 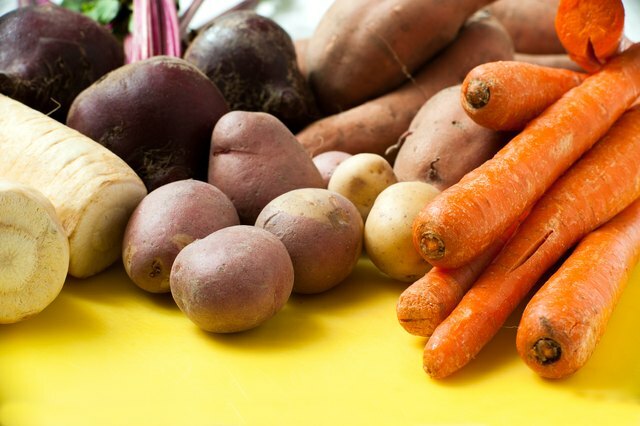 Gather your favorite root vegetables such as carrots, potatoes, sweet potatoes or parsnips, slice them thinly and then blanch the slices to preserve the flavors and nutrients. 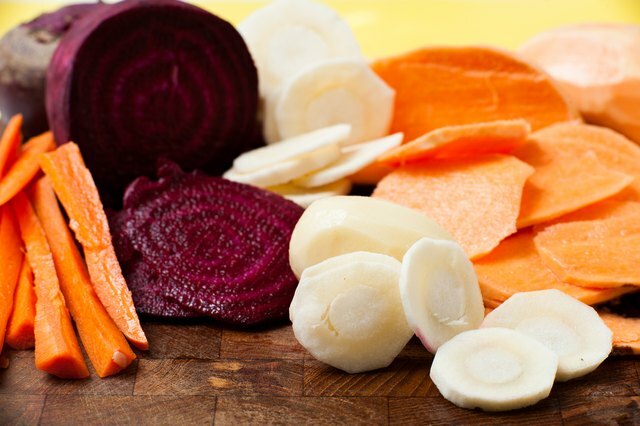 A food dehydrator will dehydrate the vegetable slices within approximately six hours and you will have a plentiful supply of crisp, dehydrated vegetable chips for munching. 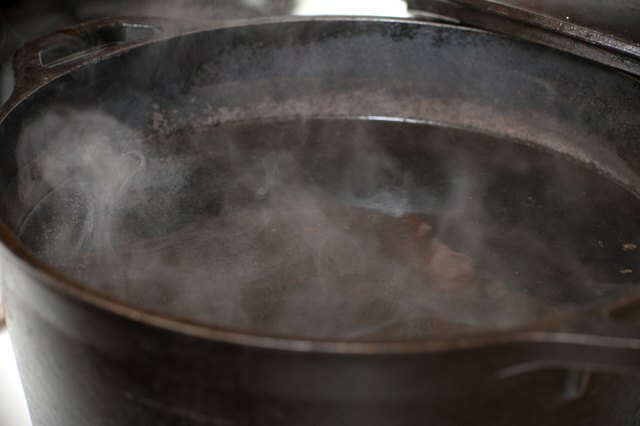 Fill the stockpot with water and bring it to a boil. Peel the vegetables and slice them into thin slices. The thinner the slices, the crispier they will be when they are dehydrated. Place the sliced vegetables into the boiling water. 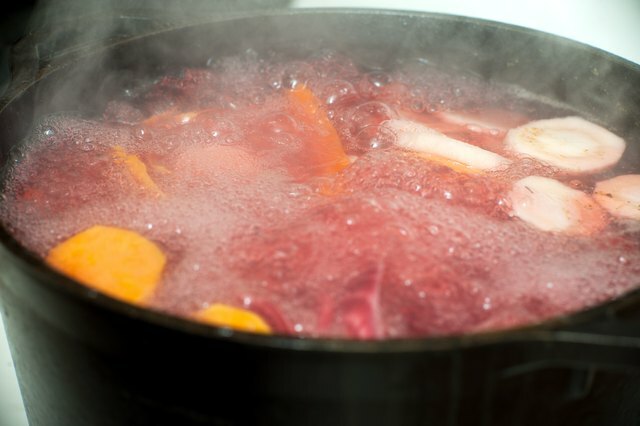 Watch the vegetables as they boil and remove them when their color intensifies. This will not take more than one to two minutes. 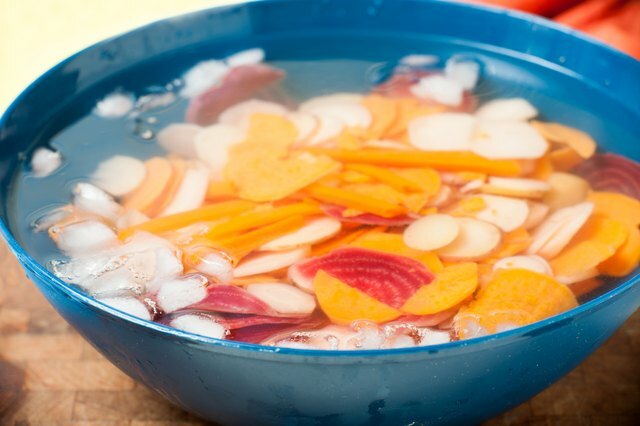 Strain the vegetables from the hot water and place the vegetables into the bowl of ice water. Leave the vegetables in the ice water for two minutes. Strain the vegetables from the cold water. 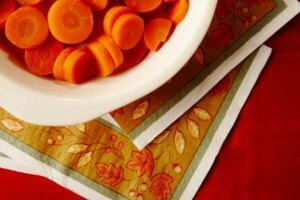 Spread the vegetables onto the paper towels and blot them dry lightly. 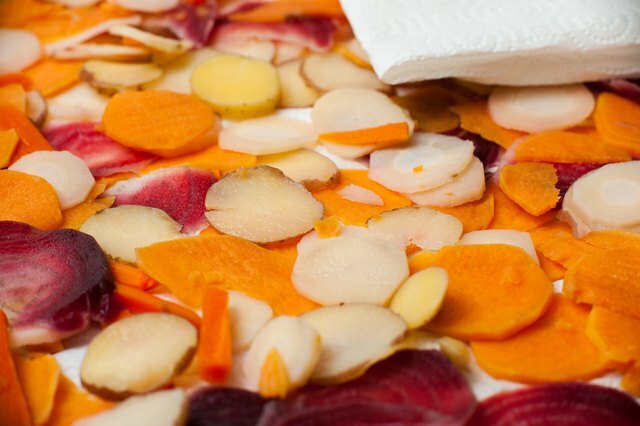 Place the sliced vegetables onto the trays of the food dehydrator. 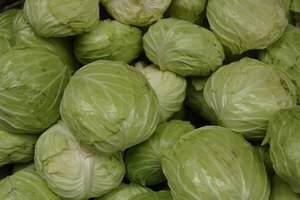 Place them in a single layer and do not allow the vegetables to overlap. Sprinkle salt onto the vegetables lightly, if desired. 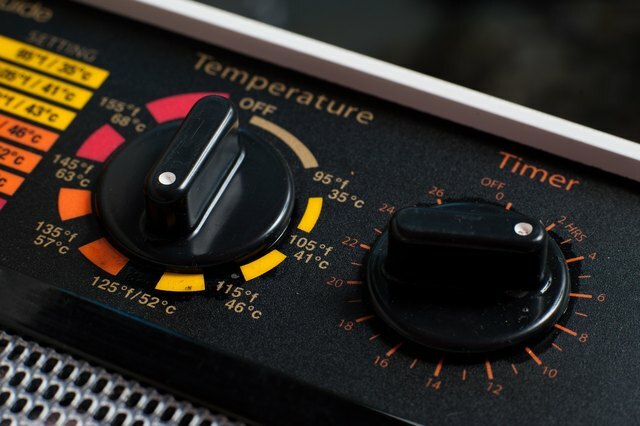 Set the food dehydrator to 125 degrees and turn it on. Leave the vegetables for approximately four hours and then check the progress. If the vegetable slices are crispy and there is no moistness left in the slices, turn the dehydrator off. If they are still moist, continue dehydrating until they are crispy. 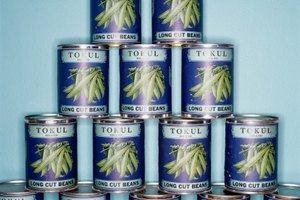 Continue to check the vegetables every hour until they are sufficiently dry. 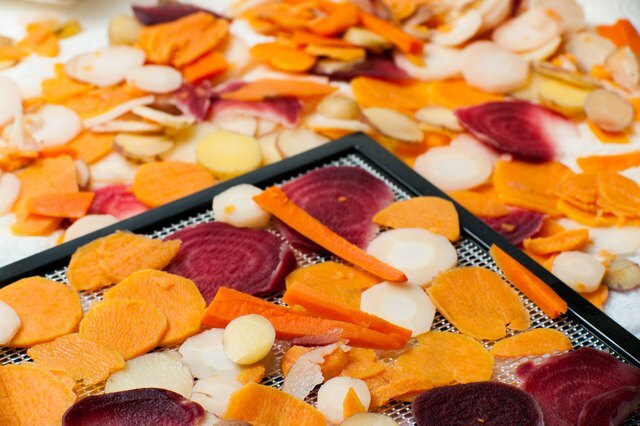 Remove the dehydrated vegetable slices from the dehydrator and allow them to cool completely. Place the vegetables in a plastic container. 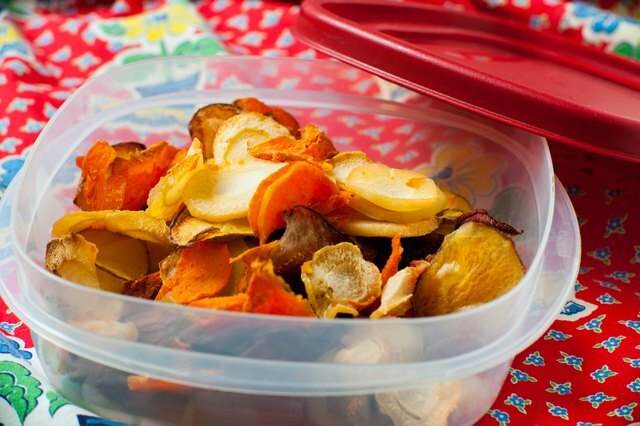 Seal the container and store the dehydrated vegetable chips for up to one year in a cool location out of direct sunlight. 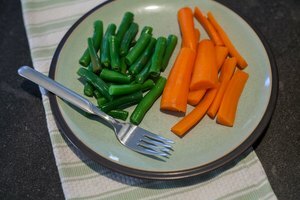 Bake vegetable chips in the oven or microwave by slicing the vegetables into thin slices, spreading them in a single layer on a baking sheet, sprinkling the desired seasonings over them, and drizzling with oil. Bake in the oven at 350 degrees F for 20 minutes. Microwave on high for four to six minutes, let stand for one minute and then microwave until they are crispy and brown (another two to three minutes).